While on the path of trees helpfully labelled in Botanic Park… I bring you E Calycogona Calycogona. 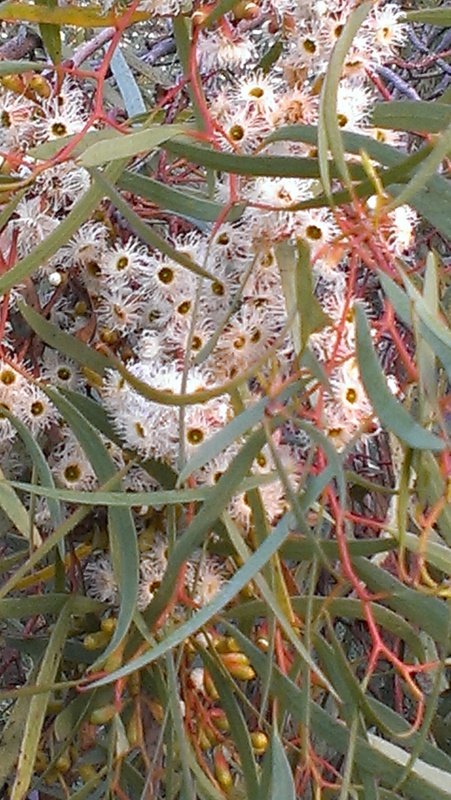 It is native to Western Australia. 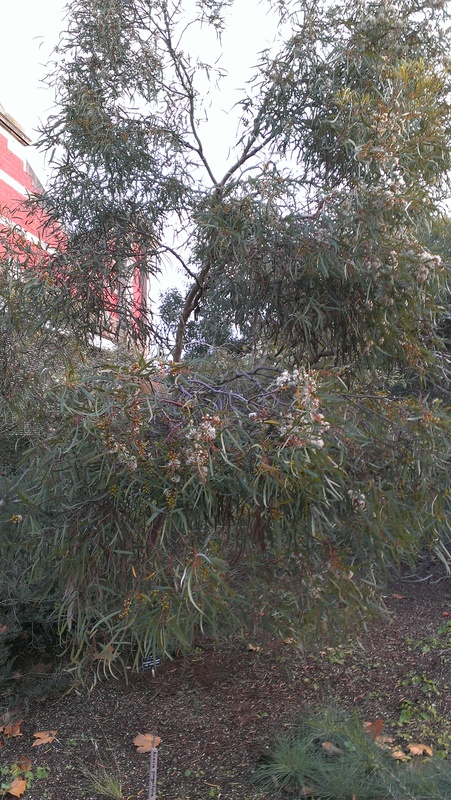 Here it is flowering generously in early June in Adelaide. 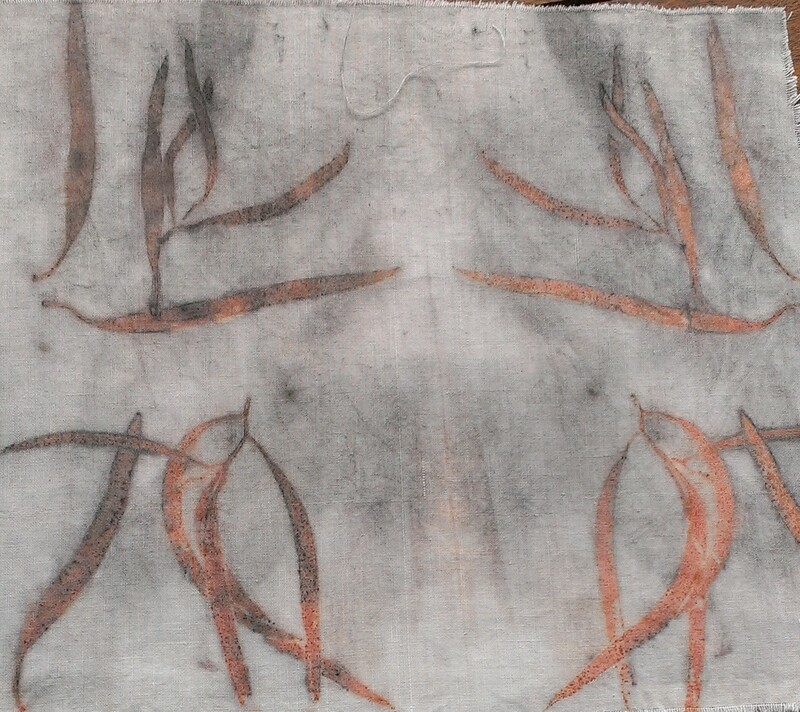 And what a result in the dye bath! Every fallen bud cap printed.